I believe it started when I was little. Since we were not so well to do, my mum used to cook the simplest of meal with canned food. One of which was canned sardines. I therefore have an acquired taste for sardines since. Till now I still crave for sardines once in a while or when I have the lay my eyes on some, especially at economy rice stalls in the hawker centres. There are several ways to eat this "delicacy". 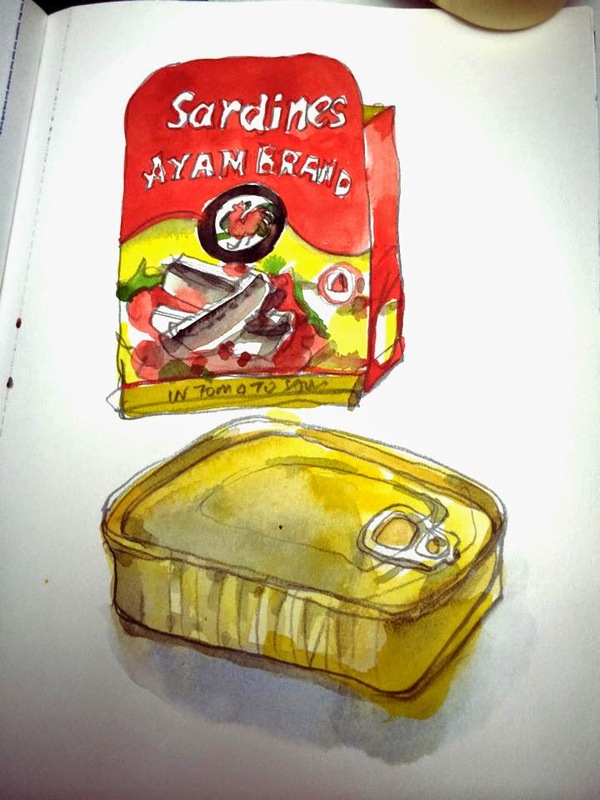 You can eat the sardines straight out of the can, or for me, my favourite way of preparing it, is to stir fry with diced onions and tomato sauce.